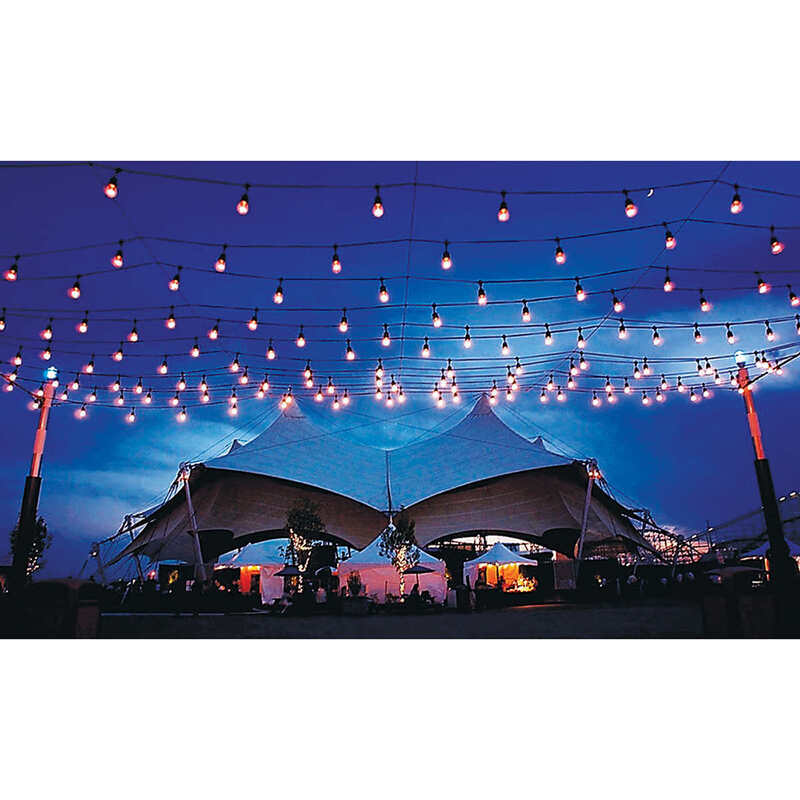 String Lights Rental Winnipeg - Spark Rentals Inc. This 14.63 m (48 ft.) light string is suitable for decorative lighting, patio lighting, tents, events, pavilions, sales lots and many overhead perimeter lighting applications. This light string is fitted with suspended E26 (medium) base sockets spaced 60.96 cm (24 in.) apart. These formulated PVC sockets form a water-tight seal around the bulb, making this item great for outdoor use.